A well styled contemporary wall hung bathroom wash basin that suits both modern and minimalistswall hung bathroom design. 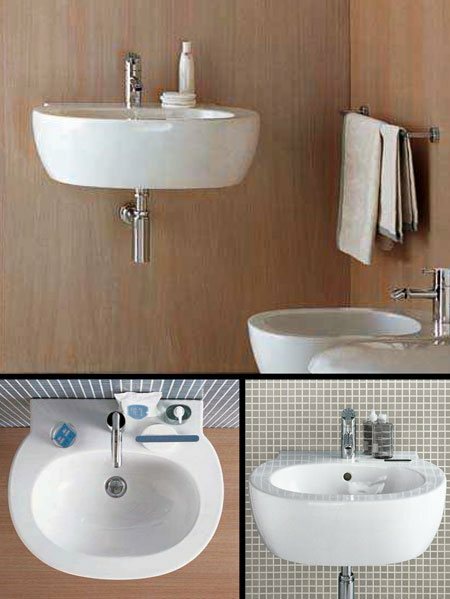 This designer wash basin can be supplied with one or three tap holes. The chrome taps and chrome bottle trap are available as optional extras. * 1 or 3 washbasin tap holes.